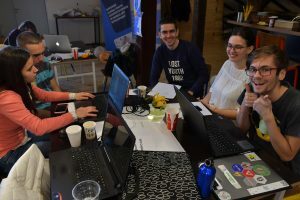 First time Policy Hackathons in the Balkans! 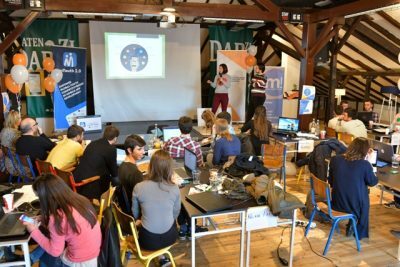 Mladiinfo as a local partner, together with European Fund for the Balkans are empowering young people to use digital tools for solving social and political issues in Macedonia, Serbia, Kosovo and Bosnia and Herzegovina. 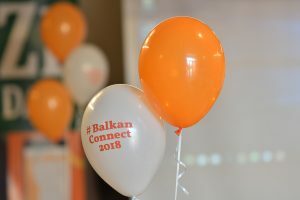 What was the BalkanConnect2018 Policy Hackathon about? 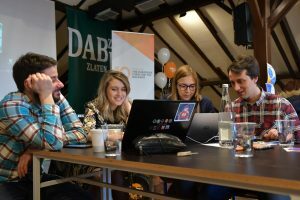 As part of marking the first 10 years of its work, the European Fund for the Balkans organized policy hackathons — #BalkanConnect2018 — in Belgrade, Skopje, Pristina, and Sarajevo. The goal of these unique regional endeavors was to inspire innovative ideas on how to change the Balkan political and social environments. Participants had the opportunity to meet world-renowned experts, to influence policymaking in an innovative way, and to be funded to develop their solutions. Mladiinfo International was proud to be part of #BalkanConnect2018 and together with the European Fund for the Balkans to inspire youth on policy-making! The participants were competing for 1500 EUR award to further develop their ideas, opportunity to pitch their idea in front of policy-making and entrepreneurs at the occasion of 10th anniversary of the European Funds for the Balkans, as well as for a special mYouth price. Through the mYouth project that Mladiinfo is implementing together with partners from Europe, Africa, and Asia, three winners got the chance to participate at the Europe Mobile Apps Hackathon organized in June 2018 in Austria. After two days of intensive work in a truly positive and inspiring atmosphere the jury has selected the winner of the Balkan Connect 2018 Policy Hackathon in Skopje. The winning team is DEMCORE which worked on a digital tool that will include the citizens in the decision making process in the local municipalities. 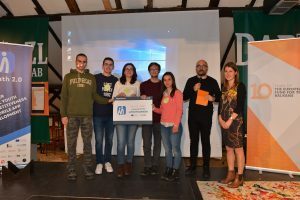 And the special mYouth award was given to the teams NEMA KAFE, EROR 404 and DELTA which worked on mobile apps solutions that will make a social impact in the society. These 3 teams will meet other participants from Austria, Germany, Romania, and Poland, at the Europe Mobile Apps Hackathon organized in June 2018 in Austria, as well as will have the chance to gain know-how and to compete further for the European Youth Award. Furthermore, a specialized training will be provided within the field of IT and business development, customized according to your individual capacity building needs of the participants.